I can remember being new to Panama City. It could be incredibly frustrating…and at the same time, incredibly fun. I got lost a lot…that’s how I learned about my favorite back roads and out-of-the-way shops. I had to go out of my comfort zone to meet people…that’s how I discovered the best venues and networking events. Looking back now I can say that every “mistake”…everything that seemed, at the time, like a misstep…led to wonderful new discoveries. I was driving in circles one day, looking for a notary office. Traffic was heavy, so I decided to park somewhere and try to find the office on foot. That’s how I discovered a Thai diner called Sukhi. I was grouchy (and I am mad about Thai food), so I poked my head in, hoping a good meal would set things right. The owners welcomed me in, and I had a green curry that was out of this world. They’d taken great pains to get each dish right, even importing certain scarce ingredients to ensure authenticity. It’s a tiny place—and I might never have learned about it, were it not for that pesky, impossible-to-find notary. Another day I was looking for a new food truck called Antiburger. A couple of friends asked me to meet them there, as they’d heard it was the home of the best burger in town. I was looking for them when I stumbled into Raffia, which is just behind the food truck’s picnic-style seating area. One of the city’s quirkiest furniture, art, and home décor shops, this was a great find. Sometimes it’s worth exploring different parts of town simply for the sake of finding out what’s new. Take Casco Viejo, for example. 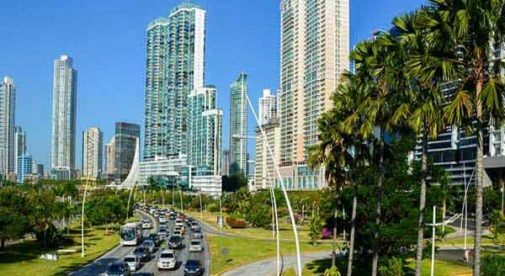 Over the years, the colonial sector of Panama City has been revamped and gentrified. There are now museums and galleries…cafés and gourmet restaurants…hotels, shops, music and entertainment venues…and the list goes on. If you are new to Panama City, you should absolutely see the sights, no matter how touristy. The Panama Canal is still fascinating to me—even after a dozen or so visits. And Panamá La Vieja is always worth a visit. Now in ruins, it was the first Pacific coast city founded by Spanish colonizers. But if you return—particularly if you decide to make Panama City your new home—you’ll find you get excited about different things. You’ll get pumped about discoveries that are all your own. Stuff you have to get lost to find…or places that are so new, there’s no way they’re featured in the likes of Lonely Planet.